Please select size. 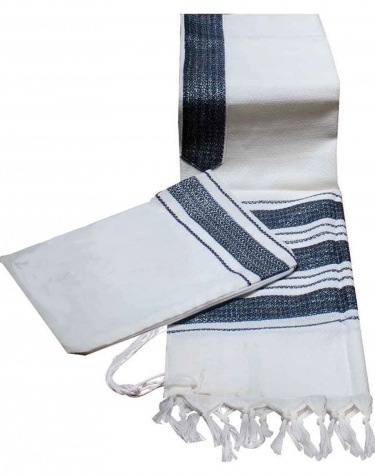 Embroidery of Hebrew or English name can be added. Please list name below in Entry Box. Available in sizes, 18 x 72, 24 x 72 and 36 x 72. Please select the size desired. If embroidery of Hebrew or English name is desired it can be added for $15. Please write name in the text box at checkout.